Life Lesson - What did People Learn too late in life? Are you searching for the life lessons, people learned too late in life? Wanna learn these amazing lessons of life earlier than its too late? Well, you are in the right place. Today I am gonna share with you 7 Life lessons you learned too late in life. Before wasting your valuable time, let's move on to today's topic i.e. What did you learn too late in life? What if I told you everything is temporary? What if one day everything is completely different as if you are living another life. Well, it's true because nothing in your life is going to last forever. This may be great news for many and for others is a bad news. But that's life !! You may have to go through the hard times if you are living a comfortable life today or may not. But everything changes with time. My message to you is whether you're facing hard times today or maybe someday, just know that this time will pass too. All you need to do is to stay strong, stay fearless & be positive. Most unhappy peoples look for happiness in material things. They look at circumstances to be happy. This is so because our cultural conditioning tells us that happiness is something external. We have been told that we ourself are not enough. But the truth is, you can be happy right now. 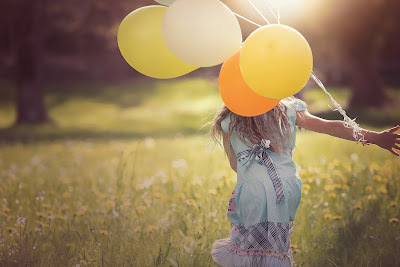 If you are looking for happiness in material things like a big house, luxury cars or having more money, then you can never be happy because its greediness, not contentment. The more become less every time and so in that way you can never be happy. You need to find happiness in the present moment. Your joy or happiness is constructed exclusively in light of your choice to be happy—and this might be a standout amongst the most vital life exercises any of us would ever learn. Successful peoples are always optimistic about the future. They never complain. These peoples try to solve others problems. Unsuccessful people complain & successful people think about the complaint & work on solving it. Stop complaining. Work hard, make it happen! Sooner or later you will regret the complains you have about your life. And, according to Garry Vee, "Regret is Poison". Fix it now or regret it later. Many people don't do what they really want to do with their life & regret it later. Find out what you really want to be in your life, and then work hard at it. "Your work is going to fill a large part of your life, and the only way to be truly satisfied is to do what you believe is great work. And the only way to do great work is to love what you do. If you haven’t found it yet, keep looking. Don’t settle. As with all matters of the heart, you’ll know when you find it." These are some amazing words by Steve Jobs. Doing what you really believe is great work keeps us filled with meaning and happiness. I hope you understand, how important is to follow your passion & I don't you to regret it later. There are many reasons why some people do people pleasing. One of these reasons is the fear of being rejected or fear of being unloved. Another reason is by pleasing others, we feel superior or better. And, sometimes you sacrifice for your own desires & goals for these peoples. That's not good If you really want to be successful in life. "If you want to please every one. Go sell ice-cream, Don't be a leader"
Another life lesson, what people learn too late in life is "Health is Wealth". Nothing is more valuable than good health. A man with bad health cannot enjoy the glory of being rich. On the other hand, one with good health enjoys the life. The successful one can work hard and pursue his dreams. Many people forget about their health while they are too busy in earning money. They regret later for the good health they have missed when they have time. If you measure your success by the business, just by money earned or likes and followers in your social media account. Then your success is very very hollow and very very shallow. The things that define you as successful exist long before you were becoming successful. The relationship with your family, the health in your body, the ability to see and believe in the unseen, the happiness in your face, defines the true success. This is another lesson, life teaches people learn too late in life. 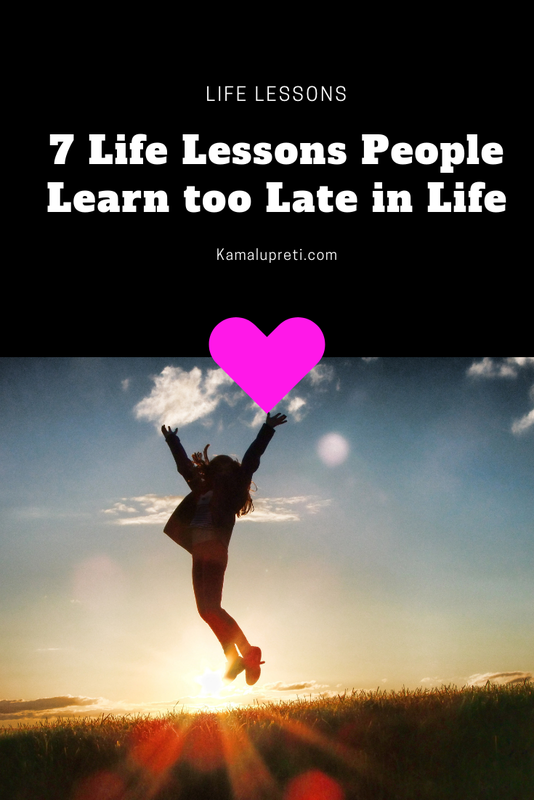 I have discussed 7 life lessons people learn too late in life. I don't want you to regret later for the things that you can learn right now. Let me know in the comments, what you feel about this post! Thanks for sharing your amazing views on such a marvellous topic .. It helps me a lot .. Really very nice ..i will wait for the next one.